Buy 30 or more for $9.50 each. At age 47, life suddenly "turned" for pastor and ultra-marathon runner, John Stumbo. A mysterious illness left him bedridden for 77 days and unable to swallow for over a year. 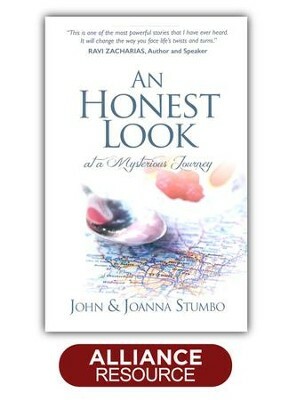 Now John and his wife Joanna tell their story in a manner that is authentic, moving, inisghtful and, at tmes, humorous. I'm the author/artist and I want to review An Honest Look at a Mysterious Journey.